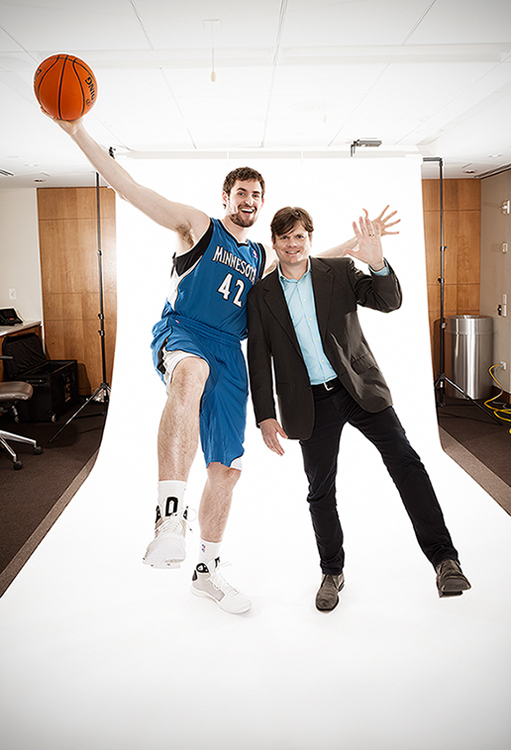 Here are some outtakes from my ongoing assignment with the TeachersCount’s ad campaign, “Behind Every Famous Person is a Fabulous Teacher.” This time we photographed Minnesota Timberwolves forward-center Kevin Love with his high school math teacher, Scott Buchanan. 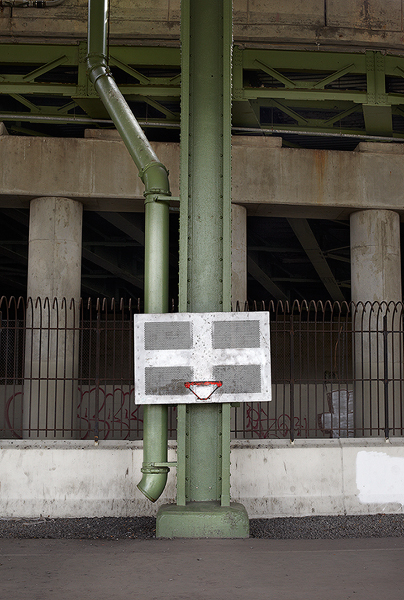 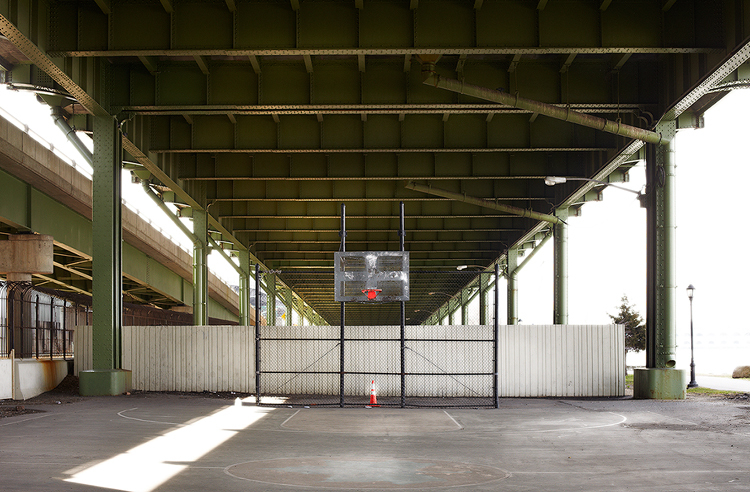 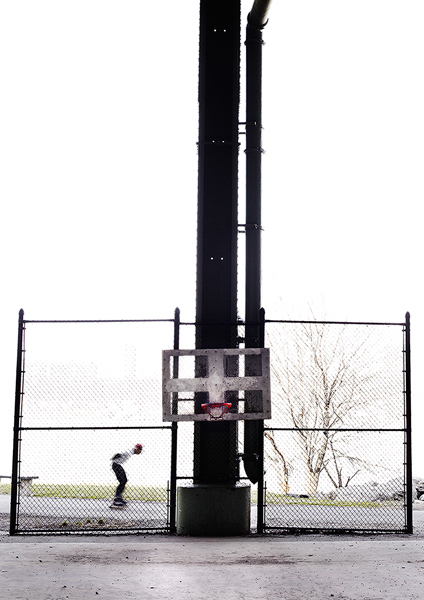 We shot on location at the NBA headquarters in NYC, and as you can see we didn’t have much room to work with. 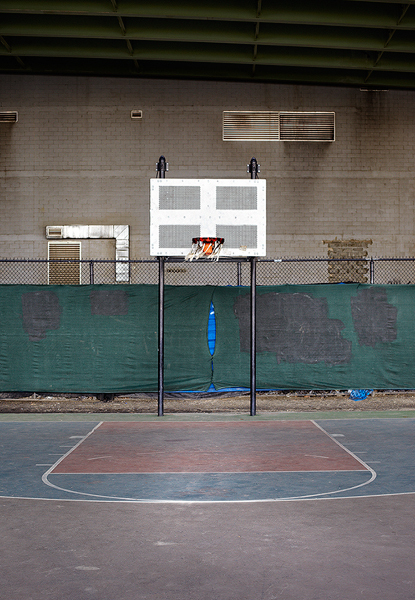 A 6-foot-10 basketball player can easily make a room look very small. 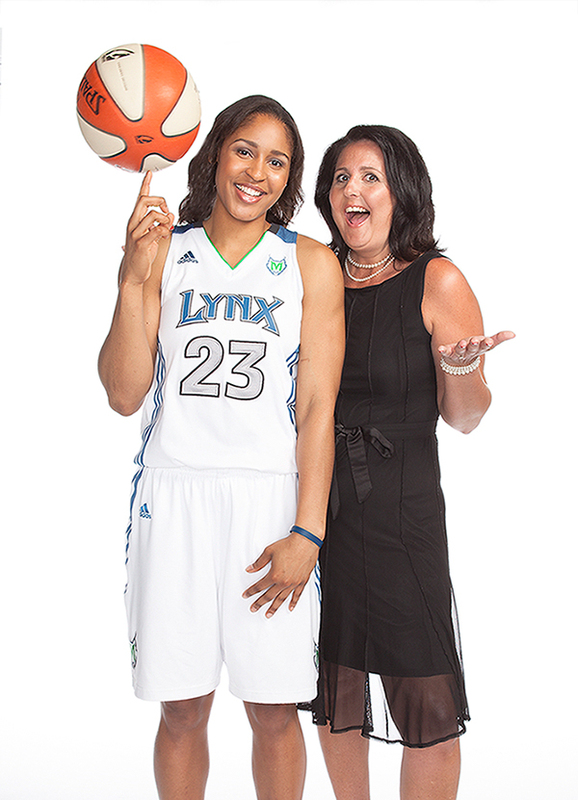 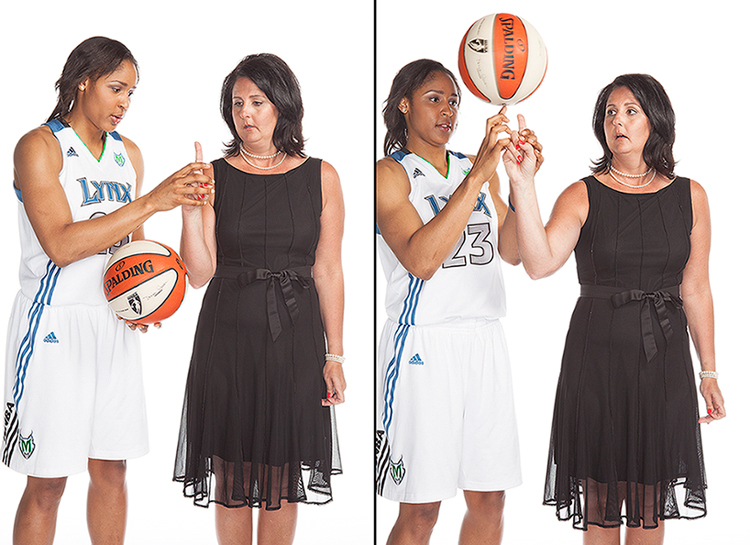 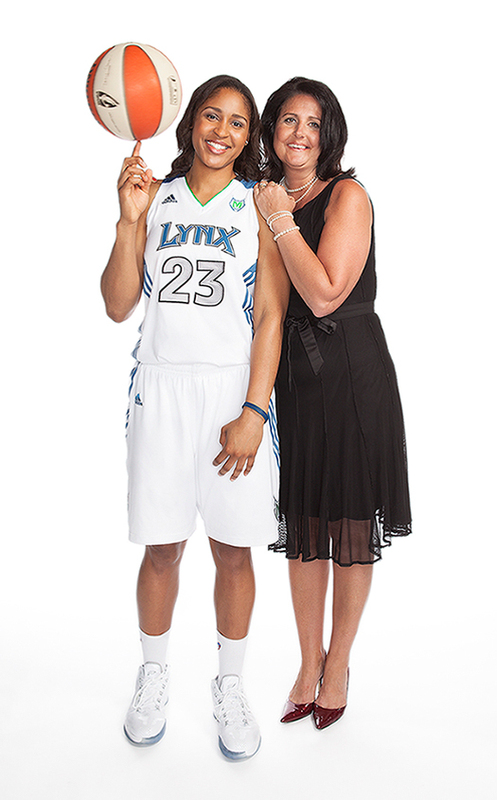 WNBA star Maya Moore (Minnesota Lynx) teaches her 4th grade teacher, Joni Henderson, how to spin a basketball on her index finger. 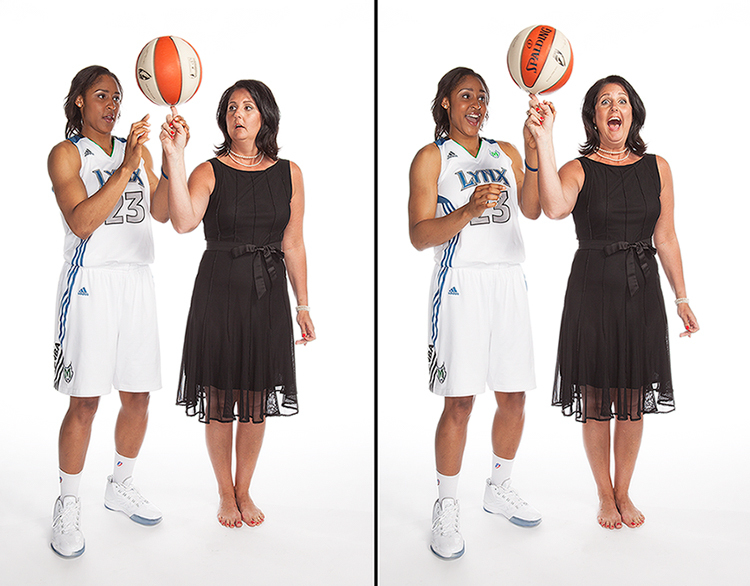 Shot on location at the Target Center in Minneapolis.